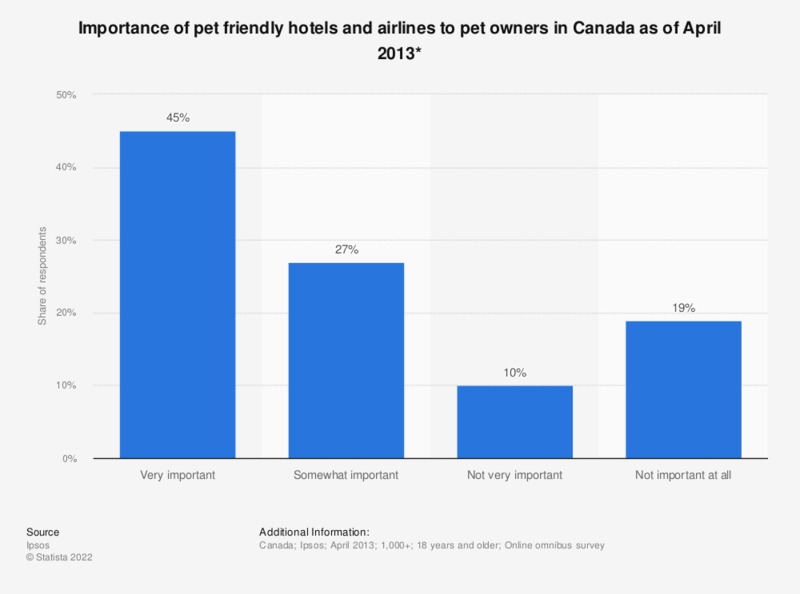 This statistic shows the importance of pet friendly hotels and airlines to people who travel with their pets in Canada as of April 2013. During the survey, 45 percent of the respondents said that pet friendly hotels and airlines were very important to them. * Respondents were asked the question: "For those who travel with pet, how important is selecting a pet friendly hotel or airline to your travel plans?" How open are you to your hotel proactively enhancing your stay? If you were forced to, in which of the following areas would you reduce staff in your hotel?